Diana Abu-Jaber is my hero when it comes to writing about food! Whether I am lost in her Birds of Paradise prose or marveling her adventures in The Language of Baklava, the one thing I know for sure is this — she is a marvelous and engaging storyteller. But before the QA, I feel compelled to share my reading experience with this book. I began to read the book and expected to finish it in a couple of days. I was so wrong. This is NOT a book you want to read in one sitting. This book is meant to be savored. It made me stop and reflect so many times. In fact, I was reminded of an interesting incident that happened when I was visiting Paris a few years ago. I was out with a group exploring Paris. It was mid-day and we were all tired. Our guide suggested we get some coffee. It sounded like a great idea so we asked where we could get coffee to go. She laughed and said, “Americans use coffee to keep going, here we drink coffee to slow us down. We will go to lovely cafe, get coffee, get some cake and sit down and relax.” THIS sentiment perfectly describes how Diana’s book should be read: Take it with you, sit down with your beverage of choice and get ready to be transported!! You talk a lot about growing up surrounded by food. What role does traditional Arab food play within your family? In my family, food was so much more than nourishment. 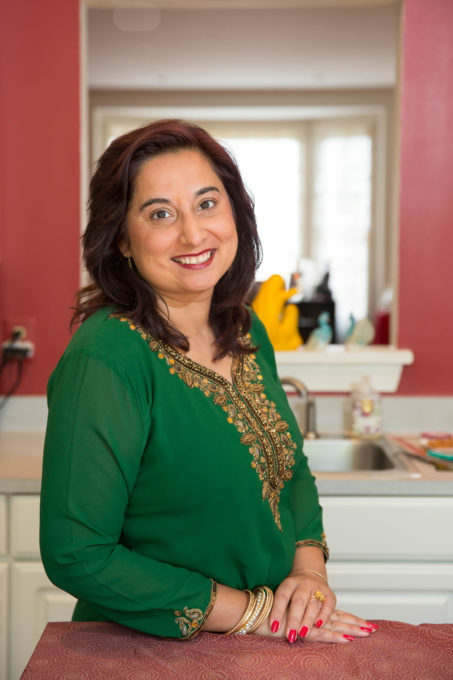 Cooking was my immigrant father’s highest expression of self—it gave him a way to speak when he wasn’t totally comfortable in English and felt out of place in his new world. It was also his “vehicle,” the conveyor of memory and culture, his most immediate, physical, personal way of sharing his past and his homeland with his children—a kind of delicious interpretation of homesickness. The better it tasted, the more he missed home. The table did double-duty in our house because while we ate, Dad told us stories about growing up in Jordan. So we were able to learn about our heritage through both the ingredients and preparations as well as through his memories. For sheer deliciousness, I might pick the garlic-stuffed roast leg of lamb. But the grilled lamb shish kabob wins overall because of its ceremony. From watching my father carve and marinate the lamb to the first squirt of lighter fluid into the grill, there was a ritual to making shish kabobs that never varied and was deeply reassuring. It usually meant eating outside with friends, waves of sizzling meats and vegetables fresh off the grill, and staying up past bedtime: all of it irresistible. 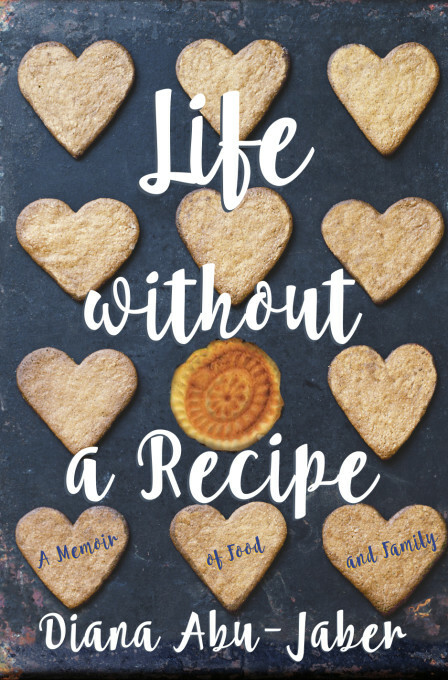 In Life Without a Recipe, we read about a number of your encounters with different cultures and languages, either within your own family or through your travels, both near and far. How have these experiences influenced your approach to writing and self-expression? Will you try to replicate these multicultural encounters for Gracie? There’s a unique richness to travel and cultural exploration, and I think that’s especially important for American writers and readers—we can get a bit insular on our little continent. Part of my own impulse to travel is also about maintaining a connection to my father’s home country of Jordan and to the Middle Eastern people. But there’s also the simple reality that, while you think you might be traveling to experience art or history or new landscapes, every time you voyage out, you learn about people. That brings a new texture and depth to writing—a sense of emotional complexity that can’t be faked. Gracie is already a great traveler. Every year she flies with us from Florida to Oregon when I go to teach the fall term in Portland. We’ve taken her to Canada and the Caribbean, and I can’t wait to take her to Jordan. I think travel is one of the most nourishing things you can do for a child’s mind and imagination, as well as their emotional and social intelligence. 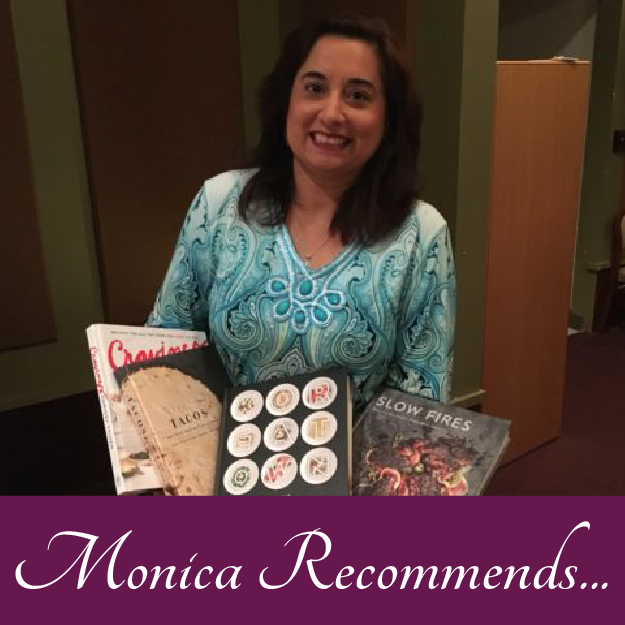 Your previous books The Language of Baklava and Crescent are inspired by your Arab-American identity, while this new book seems more focused on exploring your identity as both a wife and a mother. Can you elaborate on this shift? My father’s culture will always be a big part of me, but in Life Without a Recipe, I’m finally moving away from early years, trying to trace the way adult life gets more complex and identity grows richer. Even though it’s a memoir, it’s very much about leaping out of the bounds of the past. This book considers what it feels like to take on dramatically new identities throughout adulthood—what a fascinating, creative, ongoing project life is. That’s what excites me about exploring a more holistic American self—this country contains so many possibilities, so many disparate tribes and stories, it’s a nation that in many ways is predicated on exploration and discovery. I feel like my Arab heritage—as well as my Grandmother’s German background—both have a place here and that I’m free to incorporate these as well as create my own sense of identity. You can make these eggs in a snap. Good for lunch or dinner too, they’re quick and full of flavor. Use the ripest tomatoes available. Stir mashed garlic with some salt, pepper, red-pepper flakes and the oil in a small bowl. Heat frying pan over medium heat then pour in the oil mix and heat for a minute. Stir in the garlic mixture and tomato and fry for a minute or two—don’t let garlic get too brown. Crack eggs into a small bowl then add to pan and fry—you can break the yolks and let them swirl into the white like Bud does, or just let the yolks set in place. Just before done, you can sprinkle some parmesan cheese over the top. PS – Her book tour begins on April 19th. For upcoming readings, please check out the events pages on her website.